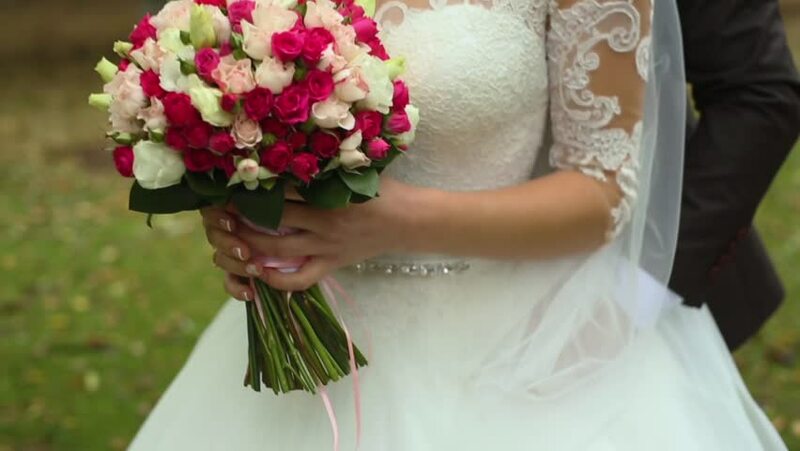 hd00:17A Ukrainian girl wearing a white embroidered dress and a beautiful wedding bouquet in her hands. A bouquet of roses and chamomiles in the hands of the bride. hd00:11Groom walking with bride's bouquet.